The tax season starts with the new year and all the salaried and business people scurry around to find the hacks to save maximum tax. The problem with people's perception is that they tend to think of Income Tax Act as an incomprehensible text which only experts can understand. To some extent it is true, the Income Tax Act, like most of the legal acts, are stuffed with alphanumeric sections, subsections. However, if you know what you want, you can find your way around with some help from the experts. A simple approach is to streamline your needs and you would be surprised how easy it becomes. The only objective of the taxpayer is to save the tax, hence, all he/she needs to find is which sections and subsections allow how much deduction. As we have chalked out our objectives let's scan all the sections of the ITA and find out best possible ways to save maximum tax. There are many windows in income tax framework which offer various incentives and allowances for the taxpayers. The most popular amongst the salaried class is section 80C. However, apart from 80C, there are plenty of other tax saving brackets which a smart investor should chance upon. Let's take a holistic look at all of them. If you invest money in the instruments specified by the government, in return, the government offers you certain tax concessions. It is in the interest of the authorities to promote the culture of saving amongst the general populace. Section 80C, 80CCC and 80CCD are some of the sections which have a lot to offer. However, there is a catch. The maximum combined deduction in all the above-mentioned section is Rs.1,50,000. That, too, if you have done a disciplined investment all through the year in the prescribed instruments. There are various other options available under Section 80C which can help your tax liability. As we are only looking for investments (where we can expect returns) we will only discuss the above-mentioned options and some other options which are forms of investment. The National Savings Certificate (NSC) is an investment plan managed by the Government of India. It is a savings bond that enables investors to save income tax. In NSC, there is no maximum purchase limit. Investments of up to Rs.1.5 lakh in the NSC can give investors a tax concession under Section 80C of the Income Tax Act. Your investment in this scheme earns fixed interest, which is currently at the rate of 8.1% per annum. Also, you get the benefit of compounding as the interest is added back to the investment annually. Another benefit of NSC is that it can also be used as collaterals while taking loans. NSC is the perfect investment instrument for you if you are looking for a safe investment avenue and at the same time save taxes. Some of the reasons which make NSC so attractive is that it offers guaranteed interest and full capital protection. As it is supported and operated by the government and can be obtained from most post offices in India, it is one of the most easily accessible tax-saving investments. However, the NSC is not a wealth creator. It cannot give you inflation-beating returns as compared to other tax-saving investments like ELSS and to some extent, National Pension System. As mentioned earlier, investments of up to Rs.1.5 lakh in the NSC is allowed for deduction under Section 80C. Moreover, the interest that you earn on NSC is also added back to the initial investment and it, too, qualifies for a tax break. However, the interest that you get in the last year is taxable income.Let me explain this through an example, if you invest Rs 1,000 in NSC, in the first year, you will be able to get tax exemption on that initial investment. The second year onwards, you will get a tax exemption not only on the initial invested amount but also on the interest that you earned on the investment made in the first year. This is possible as the interest is added to the initial investment and it is compounded annually. Like all the tax-saving investments NSC comes with a lock-in period. The NSC VIII Issue has the lock-in period of 5 years. Upon maturity, you will receive the entire corpus. As there is no TDS on NSC payouts, it is the investor's responsibility to pay the applicable tax on it. Earlier the NSC had two types of certificatesNSC VIII Issue and NSC IX Issue. The NSC IX Issue was discontinued in 2015. Currently, investors can only buy the NSC VIII Issue. There is no maximum limit on the purchase of NSC. At present, the interest rate on the NSC VIII Issue is 7.8% per annum. NSC certificates are easily transferred from one person to other. Also, a duplicate certificate can also be requested in the event the original is misplaced. Is NSC better than other tax-saving investments? There are better options like Equity Linked Savings Schemes (ELSS) and Public Provident Fund (PPF) which give better returns. But for compounding benefits and for ease of access one can invest some portion of their money in NSC. Is the most reliable and trustworthy investment scheme as it is operated by the government. However, PPF investment comes with certain stern conditions like 7 years lock-in period plus certain limitations on the quantum of investment like you can invest minimum Rs.500 or maximum Rs.1,50,000 in a year. It is one of the favourite Tax saving instruments of the investors as it gives compound returns. Under section 80C you can claim up to Rs.1,50,000 deduction by investing in PPF. To get the tax benefits, it's advisable that some portion of your income should be allocated to PPF, however, it provides fixed returns and the interest rates get reviewed (read slashed) periodically. Hence, it should only be looked at a tax savings scheme and not a wealth creator. If you are looking for a safe investment avenue to save taxes and also earn fixed returns you should open a PPF account. PPF account opening is a very simple process. You can either open it at a Post Office or more at the nationalised or private banks i.e. State Bank of India, ICICI Bank, Axis Bank, etc. PPF is supported by the Government and offers risk-free and fixed returns as well as complete capital protection. The current interest rate is 7.8% that is compounded annually. The interest rate of PPF is set by the Finance Ministry for every financial year and it is paid on 31st March. The interest is computed on the lowest balance between the close of the fifth day and last day or each month. PPF allows a minimum investment of Rs.500 and a maximum of Rs.1.5 lakh for each financial year. The investments in PPF can be made either lumpsum or in a maximum of 12 installments in a year. The account opening fee is just Rs.100. The amount deposited in the PPF is deductible under Section 80C of the Income Tax Act. Moreover, the accumulated corpus and interest is also exempted from tax at the time of withdrawal. Annual investments above Rs.1.5 lakh in PPF does not earn interest and is not eligible for tax deduction. The investment tenure of PPF is of 15 years. This tenure can be extended in blocks of 5 years as many times as the investor wants. As mentioned above, PPF has a lock-in period of 15 years, but PPF allows partial withdrawals after completion of 6 years. The investor can withdraw up to 50% of the closing amount at the end of the 4th year. Investors can apply for a loan against their PPF account. However, this can be done only between the 3rd and 5th year. In the 2nd year, the loan amount can be a maximum of 25%. Investors can apply for a second loan before the 6th year only if the first loan is paid in full. A PPF account cannot be closed before maturity. There is a provision of transfer of a PPF account, however, a PPF account cannot be closed prematurely. Only in the event of the account holders demise can the nominees file for the closure of the account. If you are looking for a shorter lock-in period and at the same time seeking a guaranteed return with a tax-saving option then fixed deposit is the one you should invest in. You can open an FD account either online or at a bank branch. In terms of interest rates, different banks offer different interest rates on tax-saving FDs. However, a point to add here is that the rates are not going to be drastically different as FDs are know to give fixed but modest returns. The biggest quality of the tax-saving fixed deposits is that the interest rate remains the same throughout the tenure of 5 year. Also, the interest rates for Indian citizens, Hindu Undivided Family (HUF) and NRIs is different from bank to bank. It begins from around 8 percent. Senior citizens and bank staff members are offered higher interest rates. The interest of tax-saving FDs is taxable and it is deducted at the source. Like all other tax savers, there is a minimum investment condition. You can deposit from minimum Rs.100 to the maximum is Rs 1.5 lakh in a year. The maximum of Rs 1.5 lakh a year is allowed under section 80C. In case of joint account holders, the tax benefit is availed by only the first holder. Just like in PPF and NPS, no premature withdrawals are allowed. Indian citizens, senior citizens, HUFs and NRIs can invest in tax-saving fixed deposits. At the end of the term of the fixed deposit, the money credited to your bank account. Tax-saving fixed deposits offer a nomination facility. A tax-saving FD can be transferred from one bank branch to another. Equity Linked Saving Schemes (ELSS) is one of the types of Mutual Fund. Just like in a mutual fund, in ELSS, your the fund managing company will pool your's and the other investors' money and invest it across sectors. A bigger pool of money will attract greater returns while the losses can be spread out. The lock-in period of 3 years is what makes ELSS different from the mutual fund. Here, you can't liquidate your funds before 3 years. For the tax saving purposes, the investment in ELSS becomes very attractive. You become eligible for tax sops under Section 80C of the Income Tax Act as you can claim tax deductions. 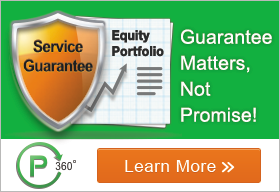 Other Mutual Funds do not offer this benefit. There are many ELSS Reliance Tax Saver available. All the ELSS schemes come with the lock-in period of 3 years. The good thing about ELSS is that it gives better returns than all the tax-saving investment instruments that are specified by the Income Tax Act i.e. PPF, NPS, ULIP, etc. However, under section 80C you are only allowed a deduction up to Rs.1,50,000 for investment in ELSS. Thus it is prudent only to invest that much amount in ELSS and if you have any surplus amount you should invest it in an open-ended mutual fund which offers more growth and high liquidity. Investing in ELSS is as simple as investing in mutual fund. There are many Asset Management Companies (AMCs) like Reliance, Birla Sun life, DSP BlackRock, etc. The point that investors should always remember is that ELSS is just as good as mutual fund hence they should plan tax and investment in advance and shouldnt resort to last minute investment decisions. If you keep investing in ELSS with a long-term perspective, it will not just help you save taxes but will be a potent tool of wealth creation. Tax saving is complex matter. People make a common mistake of doing it on their own and miss out on many tax benefits and incentives. Another mistake is to take investment decision at the last moment. To counter these two mistakes, investors should take help from certified financial planners and should chalk out systematic financial plan for every financial year. Tax is just a small part of your financial planning, if you get your financial planning right, you will get your tax planning right.